Take a look at our most recent projects in Woodinville! When something goes wrong with your garage door, we want to be there to fix it. Scroll down to find out all the details about our recent projects in the area! Customer Issue: Needed a new opener installed. 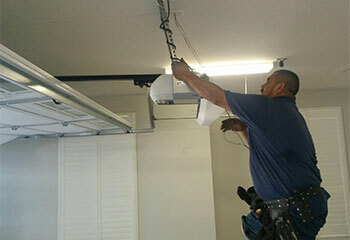 Our Solution: Our technician carefully assembled this customer's brand-new LiftMaster 8587 garage door opener to assure it was done correctly before installing it and connecting it to the system. It was then tested to confirm it worked properly. Our Solution: One of our experts, after safely disconnecting the system, opened the track to pull out every roller that was no longer viable. Each was then replaced and the system was reconnected and tested for functionality. 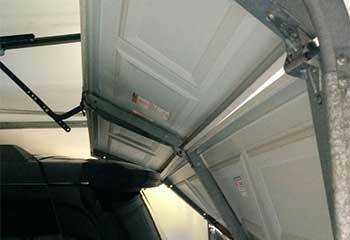 Customer Issue: A garage door that was accidentally knocked off track. Our Solution: We started by checking the length of the track to see that it wasn’t damaged, then we lifted the door and reset it properly. 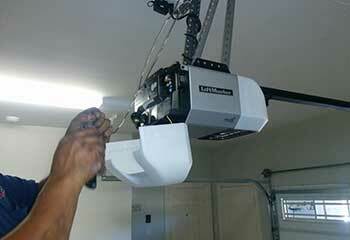 Customer Issue: Replace old garage opener with a new smart-enabled one. Our Solution: Ms. James loved the features of the Craftsman ½ HP 54915 belt drive opener, so we installed it and programmed the HomeLink in her car. 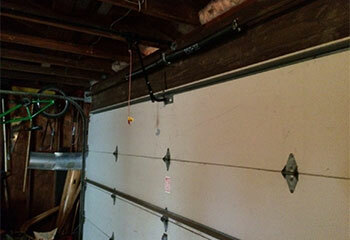 Customer Issue: Benjamin was locked out of his house when his garage door wouldn’t open. 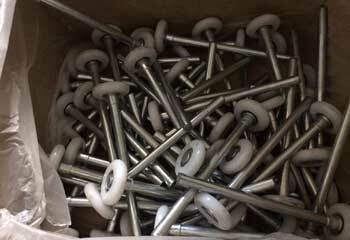 Our Solution: We responded immediately and found the problem to be broken springs. Within 40 minutes, we had installed new ones.